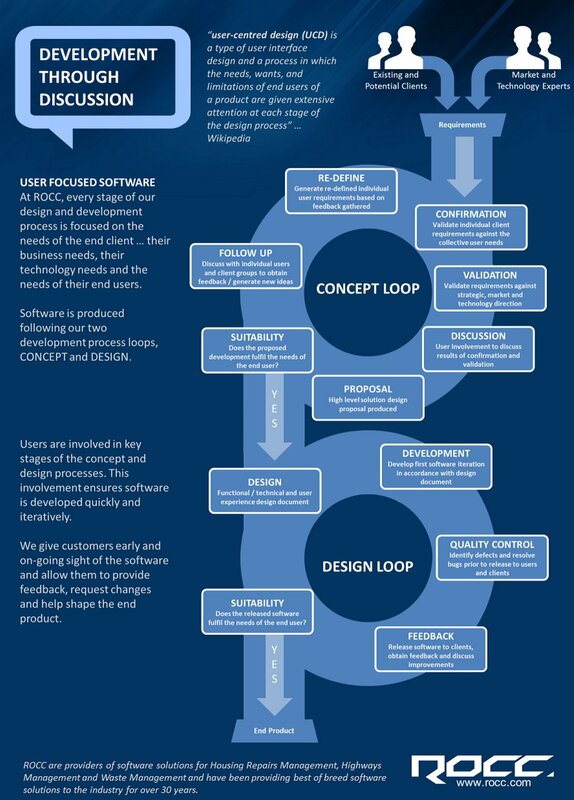 I recently carried out a presentation on how we form our development roadmap and how we go about producing software that not only delivers at a functional level but also at a user experience level. Our development roadmap is shaped through many inputs but the largest being our existing and potential clients. I was recently at a client site talking to a responsive repairs tradesman who brought some fantastic ideas forward ... by the end of the day his suggestions had made it onto our development roadmap and we've started working on a design concept. Once an idea reaches our roadmap our development process takes over. To help our clients visualise this I've produced an infographic.